This weekend was my college reunion at Amherst College, and the programming committee was kind enough to include me in a panel discussion about “Putting the Arts Back in Liberal Arts.” It was very cool to be sitting back in the same lecture hall I used to attend classes in…but this time at the front of the room! 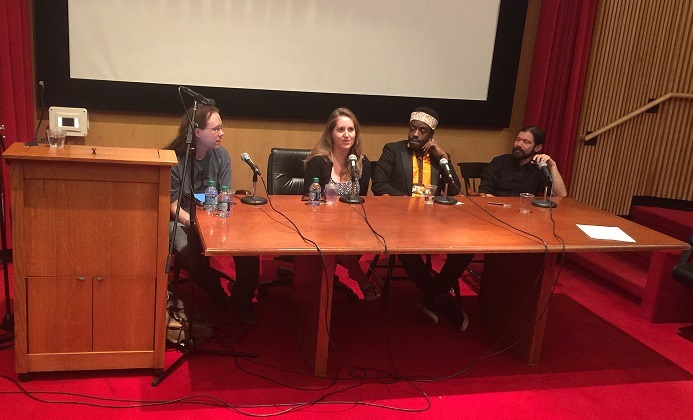 Film critic Josh Bell moderated; the panelists were me, visual/performance artist Akwety Orraca-Tetteh, and documentary filmmaker Jes Therkelsen. The whole reunion was a fantastic time, as well as an extraordinary reminder of how many fascinating and talented people were a part of my college class. Looking forward to the next one in five years!